Must every tragedy be a lesson? 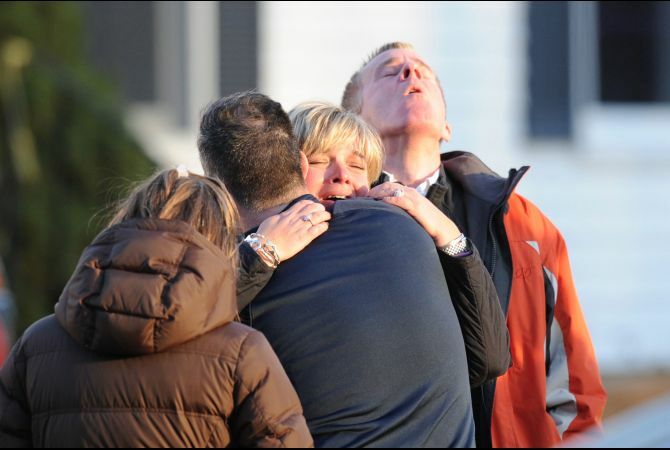 Here we are, exactly one week removed from the mass shooting in Newtown, Conn. I first heard the news while sitting with some co-workers at a company Christmas party. Like the rest of America, I was dumbfounded at the horror. That evening, after tucking my own children safely into bed, I sat on the couch paralyzed by the news coverage on TV. The weight of the event pressed so hard on my soul that it squeezed the tears from me, not as mournful sobbing but as a steady flow of overwhelmedness. And I know millions of others felt the same. That next day, though, when I fired up my computer, I began to see “responses” to the shooting—blogs offering theological “lessons,” articles pertaining to mental illness, and pontifications on gun control. What tripe. Twenty children and six adults lay slaughtered in Connecticut and we are proffering lessons and policies? Yes, it is natural to seek answers when the un-understandable happens. It is human nature to seek explanations, resolution, and remuneration. But children are dead. Are lessons really what is needed?